Ford S-Max 2.0 EcoBlue 150 Titanium [X Pk] 5dr Auto [8 Speed] 2019 Review | What Car? 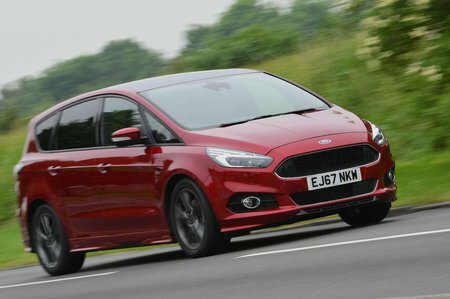 Mid-spec Titanium trim adds cruise control, automatic lights and wipers, a USB socket and a DAB radio to Zetec’s kit list. However, it also adds a lot to the price and isn’t worth the extra in our opinion. The pick of the engine range because it combines adequate performance with impressive refinement and reasonable running costs. In fact, it’s no less efficient the lower-powered version. Available with either a manual or an automatic gearbox.